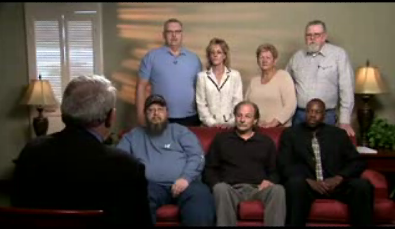 Seven former Sequoia workers, with a combined 161 years with the company, appeared on the news show to tell the story. x[Pressman Trainer] Greg Smith: The paper changed. They decided that they wanted to go with a certain brand. And I think that everybody’s opinion was this 2000 election was going to be our demise. Because of the poor quality of what we put out the door. 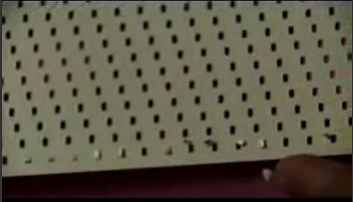 Dan Rather: For decades Sequoia had ordered its punch card ballot paper from James River or International Paper; the only mills that had traditionally offered voting punch card stock. In 2000, the company switched to a new mill, Boise Cascade, which had virtually no experience making tab card stock. x[Pressman] E. Washington: One of the pressman … Bob Krause … had a thing if the paper was real bad, that he would write little nasty letters on the side of the roll. Well, we got one of those rolls back, with the same letter that he had written on it. So, then, that’s when it went through our mind that some of that paper was getting rewound and sent back. Dan Rather: [The roll] presumably leaves the plant or goes somewhere and then it comes back with one of these Xerox Boise labels on it? Dan Rather: Did you know about this as well? Greg Smith: Well, I had the same suspicions as everybody else did as far as the paper. Felt that it, it was rejected and it was taken out of the plant and stored somewhere and then relabeled and brought back. Dan Rather: Well let’s just go down the line — is there any doubt in your mind that the company was aware that the ballots for the 2000 general election … were being made with inferior paper? Various: No doubt. They were told every day. Yeah. They were told everyday. and seemingly fraudulent shipping documents. Dan Rather: Sequoia management insists that all of the paper used to make punch cards ordered for the presidential election of 2000 came from a single shipment of some half a million pounds of Boise paper delivered directly to the Exeter plant. … spell it out for me. What’s missing? x[Controller] Suzy Keller: The signed documentation that the paper was actually received. There has to be a signature on there, and there is no signature. Did the paper arrive or not? I can’t substantiate that, there is no signature on those packing lists. … Rantanen analyzed the fibers in the Florida ballots. He discovered none of the cards had the composition of Boise Cascade tab stock, which contains softwood from the Northwest. He also sent Boise Cascade a Florida ballot sample. Boise confirmed the paper wasn’t theirs. x[Pressman] Cy Turner: We took great pride in the quality of ballots we put out; there was no leeway. … A pressman running a press could reject a roll [of paper], kick it back to raw stock, say this roll was no good. x[Quality Control Inspector] Linda Evans: … there was card bins I wouldn’t sign off. I refused to sign em. They’d sit there overnight and they would say, “you gonna sign em?” and I’d go “no”. Come in the following morning, all the bins had been signed off and moved to the front. … Which means someone else signed em off and said let em go. E. Washington: We were told to run those cards short because they would grow by the time they got to Florida in the humidity. Dan Rather: Running short didn’t mean the cards were actually shorter. It simply means lowering, on the face of the ballot, the position of the chads. So the orders were for the ballots going to Palm Beach, don’t make them meet the normal specifications? Dan Rather: Were you surprised by it? E. Washington: Oh yeah, I questioned it, and I even had the plant manager sign it. Because I was having arguments with quality control about the size. And so I said, ‘The only way I am going to run it is if Brian (the plant manager) comes out here and signs it.’ He came out, he signed the ‘okay’ card to run ‘em. Dan Rather: Had this happened to you before? Dan Rather: … Linda Evans recalls the chad testing of ballots manufactured for the 2000 election. Linda Evans: Chads were falling out. Chads were hanging up. We’ve got a machine that we call a gang punch, which in a sense punches out all the holes at the same time. … They weren’t punching out. They were hanging up all over the place. They were aware of that. Oh, management was aware of it. We told ‘em. Dan Rather: We asked Evans if she could demonstrate for us the chad testing that had led to her concerns. This became possible when last, Fall Palm Beach County released over 200,000 unvoted ballots left over from the 2000 election. We had a gang punch identical to the one used by Linda Evans at the factory, made by an engineer familiar with Sequoia’s test instruments. Rantanen met with Linda Evans at her home in Exeter and they tested ballots together. Walter Rantanen: Oh, oh. It’s got something. Linda Evans: Its got a whole bunch of somethings. Dan Rather: While older Sequoia ballots, made earlier, for another county, punched perfectly, The Palm Beach ballots made for the 2000 election showed a troubling pattern: many cards showed clusters of hanging chads, primarily in the column that contained the presidential candidates. and after the election tried to destroy all evidence. Dan Rather: When you got to the plant in the days after the election, what was the scene there? E. Washington: It was chaotic. They were moving stuff, hiding stuff. Dan Rather: They were hiding stuff? E. Washington: Yeah, because the news people wanted to come in and talk to people and they wanted to tour the plant. E. Washington: We were told to get rid of everything, anything that had Florida on it had to disappear. Dan Rather: And did it disappear? E. Washington: Yup. Nothing with any kind of Boise Cascade labels was supposed to be left around. Dan Rather: And that word came from whom? E. Washington: Brian Lehrman. … The plant manager. Dan Rather: We repeatedly invited Sequoia to have Brian Lehrman on camera to answer some of the workers allegations. Sequoia declined. Greg Smith: My own personal opinion was the touch screen voting system wasn’t getting off the ground like that they, like they would hope. And because they weren’t having any problems with paper ballots. So, I feel like they, deliberately did all this to have problems with the paper ballots so the electronically voting systems would get off the ground, and which it did in a big way. Cy Turner: You hope for the best in people and you hope it was just some bad circumstances that came together all in one place. But it should matter to people and they should check it out, and investigate it more thoroughly, because if something else was going on, and these people profited by intentionally screwing up our elections, they ought to pay. They ought to pay hard. x[Shipping and Receiving Foreman] Tom Ayers: I don’t think any company should profit from something like this, I mean, it is almost to the point where it would be illegal. You are putting out a product that you know isn’t going to work to make a profit. Suzy Keller: For years elections took so much pride, they all took pride in the quality of card we put out, and this card that went into Florida created a lot of problems. A lot of problems. Substandard paper? Are we trying to force something here? Are we trying to change the elections community? I thought those things. I can’t substantiate those things but that’s what I thought. x[Manager] Giles Jensen: It was something that that really influenced the direction of this, this nation. Intentionally or unintentionally. Let’s leave it that way. But, it’s a sad state of affairs that it takes seven years for somebody to actually ask the question to the people that might have the answer. 12 Google News archive search – A search for the words “Florida”, “Sequoia” and “Rather” from the Dan Rather Reports air date of 8/14/2007 to two months later, returned just one mainstream news reference to the bad ballots story — a letter to the editor of the Mobile Press-Register. But many blogs covered the story – among them Wired and Brad Blog, which also did further reporting.